The Royal William Yard in Plymouth, UK has always been a dead end due to its naturally defensive nature and peninsular location. 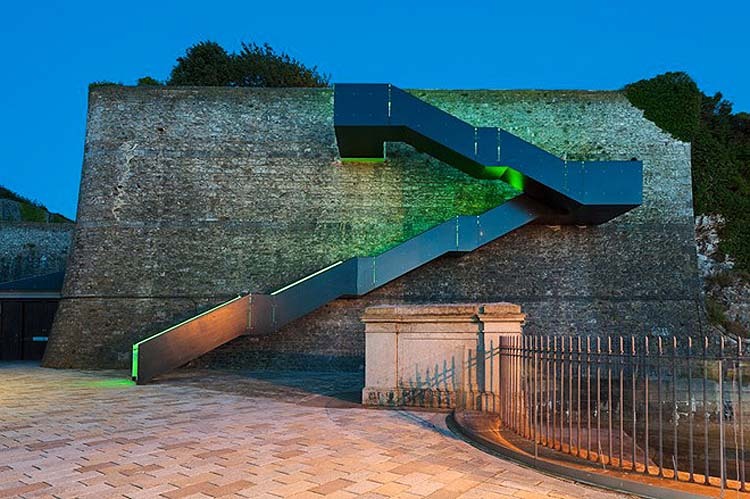 Gillespie Yunnie Architects have recently completed the dramatic staircase that links the far end of the Yard with the open green space above it, a key part of the regeneration masterplan, allowing residents to access the park and historic battlements at the top of the high retaining wall. 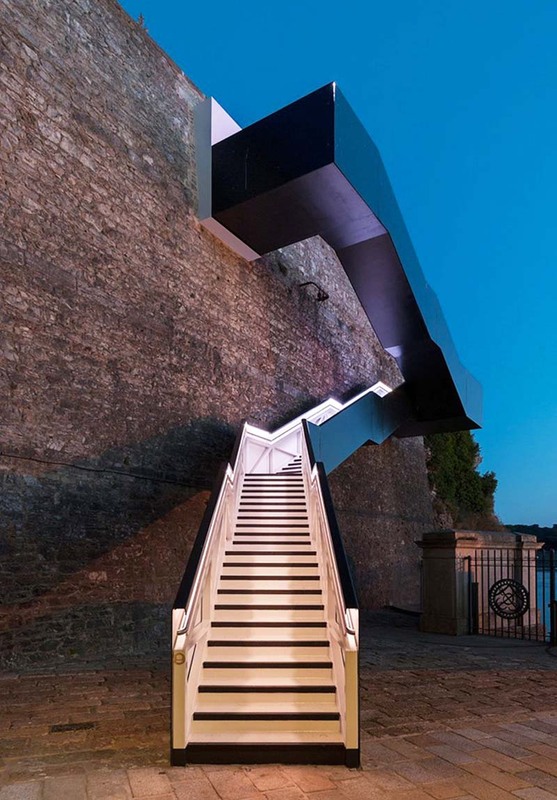 The staircase, with its striking lighting with changing hues, and stark black exterior, offers that impressive, yet complementary, contrast of old and new against the old stone wall. Plus, the beautifully framed water at the landing, highlighted by the colored lights, makes for a spectacular view. This entry was posted in Architecture, Light, Stuff We Like. Bookmark the permalink.